Pioneer is a world-renowned brand for audio equipment that many artists swear by. 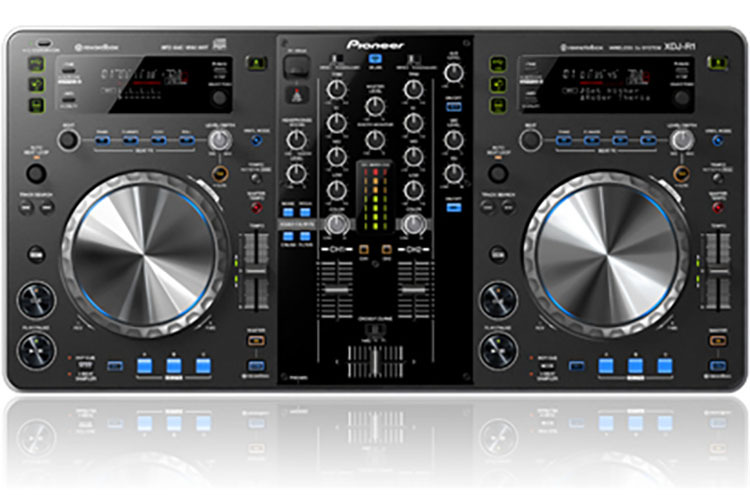 They have introduced the next generation in production and mixing with the Pioneer XDJ- R1 all-in-one system. What makes this product ahead of the game is that it is the first to feature wireless control functionality with an iPad, iPhone, or iPod, through a specially designed app.When Wifi is not available, the system features Wireless Direct, that enables wireless connectivity to an iOS device. Other features of this all-in-one are auto beat loop, beat sync, USB connectivity, built-in CD players and MIDI controls. The app allows the DJ to step away from the set up and continue to change many parameters that normally need to be manually adjusted. We may no longer see DJ’s leaning back over the booth to adjust something when they are in front, interacting with the crowd. Now they will be able to grab their phone or iPad and stand in front of the booth, controlling what is playing. The possibilities are endless with the wireless capabilities, not only when playing live in front of an audience, but even at home in the studio. DJ’s could walk around their house or the studio and generate ideas while holding something as simple as an iPad. Pioneer has made a video showing off the XDJ- R1 system and all of its industry leading features, you can find it on their website, and also on Youtube. I cannot wait to see how this next gen product is utilized by producers everywhere. Keep up the good work Pioneer!